HP may be driving the hype train with the Chromebook x2 detachable but let’s not forget, there are a TON of new Chromeboxes heading our way very, very soon. CTL and ViewSonic recently threw their hat in the ring with a couple of Kaby Lake Celeron models aimed at education and kiosks but we haven’t heard much from the big OEMs since their initial announcements at CES back in January. HP, Acer and ASUS all announced 7th and 8th gen Kaby Lake boxed coming sometime in April and it looks like Acer could be the first to market. 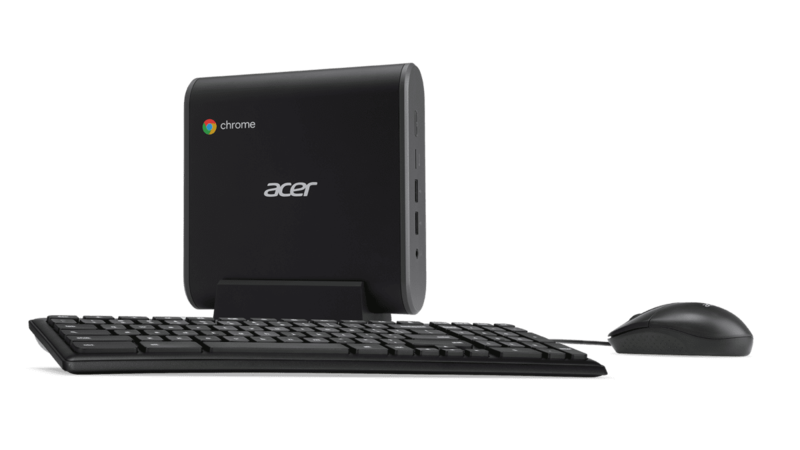 While Acer’s site has yet to list the CXI3, an eagle-eyed reader shot us an email alerting us that CDW had the new Chromebox listed for sale. I checked around and they aren’t the only one. I found listings on TigerDirect, Newegg as well as NextWarehouse. It looks like the Celeron 3865U model is going to come in right around $280 which is great because ViewSonic’s model is priced at $349.99 for the exact same specs. According to NextWarehouse, the Acer CXI3 will be in stock on April 19th which lines up with CDW’s listing that says 8-10 days for availability. TigerDirect does not list a date but they are taking orders and will ship when available which is very likely in the same window. 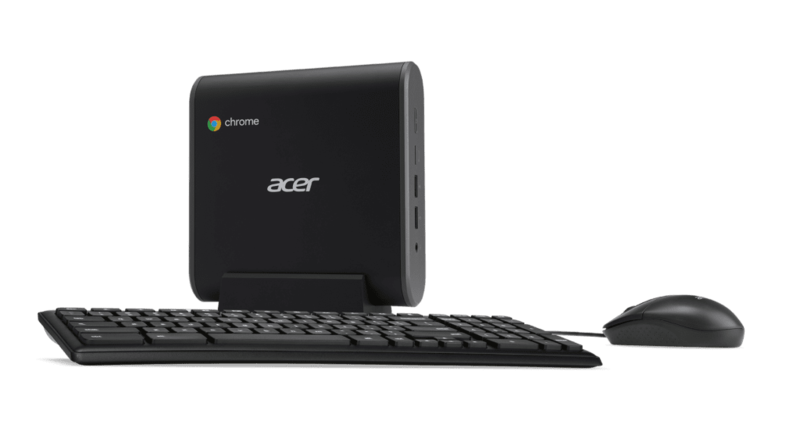 With the drought of Chromeboxes over the past 2 years, I was afraid that if other OEM’s followed a similar pricing structure, we might see the death of the desktop Chrome device. Granted, the big daddy Core i7 model is going to run you over $700 but you’ll get a whole lot of horsepower for your money. So, there you have it. If you’re like the countless who have been awaiting a new Chromebox, they’re on the way. You can secure yours and have it before the end of the month. Me, I haven’t had a Chromebox since my trusty Samsung but it’s about time to change that and the Core i7 model is looking rather tempting. Check back soon as we hope to have some hands-on with the Acer in the very near future. Special thanks to D.J Lu for sharing this with us.